This week's Snap, Set and Song is all about the Heatwave of summer! so I don't have many pics of the sweltering heat at the moment. However Broome in Western Australia is the first place I think of when talking about heatwaves. 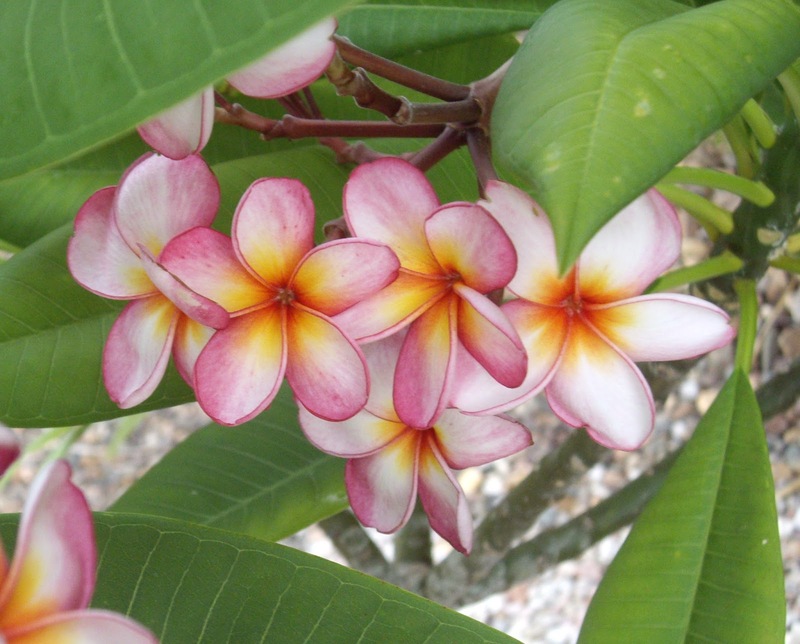 And frangipanis are very much a reminder of Broome. My Song: If you live in Australia, you will have heard this song a million times by now, because it is pretty much an iconic summer song. But I never, never get sick of hearing it! Pop over to A Snap, A Set and A Song for more summer goodness! Ahhhh frangipanis...the perfect summer flower! And I'd totally wear those swimmers in the pool. They're very similar to the ones I just bought for our last holiday! I want that beach towel! Thanks for linking with another great SS&S. Enjoyed the shot of the frangipanis ... color is lacking here right now. Never had heard that song (or group) before - thanks for sharing it! Even though it is winter here now - next week I will be in a much warmer place. Not sure that's necessarily a good thing - it's been warmer than normal there too!